Las Vegas (April 5, 2019) – Kinepolis has signed a deal with CJ 4DPLEX, the world’s leading cinema technology company, to open ScreenX theatres starting 2019. ScreenX is the world’s first multi-projection theatre technology designed to enhance the movie-going experience. ScreenX allows the audience to go beyond the frame of the traditional movie screen, utilizing a proprietary system. In Europe, Kinepolis Group NV has 53 cinemas spread across Belgium, the Netherlands, France, Spain, Luxembourg, Switzerland and Poland. Since the acquisition of the Canadian movie theatre group ‘Landmark Cinemas’ in December 2017, Kinepolis also operates 45 cinemas in Canada. ScreenX is the world’s first multi-projection theater technology used within a theatre setting, marking it as the most visually immersive theater experience of CJ 4DPLEX. ScreenX allows moviegoers to go beyond the frame of the movie screen by utilizing a proprietary system that expands images of feature films and pre-show advertising to the left and right walls of the theatre, creating an immersive, panoramic, 270-degree viewing experience. 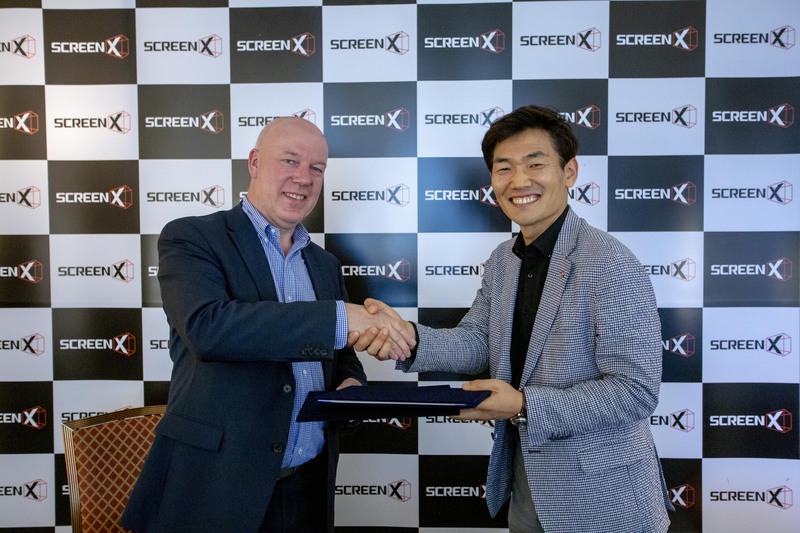 To date, ScreenX has been installed in 203 screens around the world, including 87 screens in South Korea; 66 screens in China; 17 in the United States; 9 in England; 4 in Turkey; 4 in Japan; 3 in Switzerland; 2 in France; 2 in Vietnam and 1 in Spain, Hungary, UAE, Kuwait, Thailand, Indonesia, Israel, Canada, and Poland. ScreenX was recognized as the “Innovator of the Year” at ShowEast 2018.